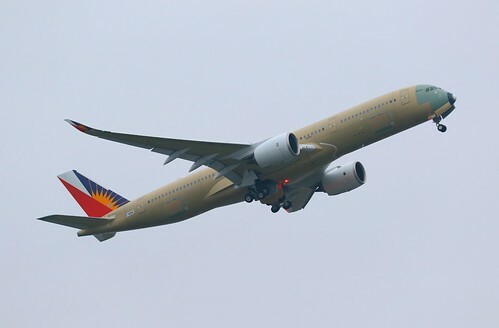 Welcome to the Philippine aviation thread for 2019. Please continue to post your updates and to add your comments here. For our first bit of news, it looks like MRQ (Marinduque) will finally receive regular air service after nearly a decade, with 5J promising to start flights by March 31 (link in Tagalog/Filipino). Finally, it'll be possible for me to fly MNL-MRQ again! RP-C9936 has been delivered last night! Last of the 6 A321neo. Just want to post what I saw from page 192 of the December issue of Mabuhay Magazine. 6 New Aircraft Joining PAL fleet. Aside from new aircraft other noteworthy news are the following. New PAL Inflight Training Center. New Mabuhay Lounge at Terminal 1 of MNL. More destinations from Cebu, Clark and Mania. Can't wait for what is installed this year! PR is planning to launch TLV soon in 1Q of this year. Good move, considering the demand from pilgrims and a limited number of OFWs. I wonder what aircraft they'll use, maybe a tri-class A333? I'm interested to see how this will pan out. Tamayo added that the Philippines was currently working on securing a final agreement with Saudi Arabia to use the latter’s airspace. This, he said, would cut flights to Tel Aviv by more than an hour. In the future, this could give PR an advantage on the Israel-Asia market, considering the fact that El Al needs to make a detour when flying to BKK and HKG. PR is planning to launch TLV soon in 1Q of this year. Good move, considering the demand from pilgrims and a limited number of OFWs. There are 30,000 Filipinos in Israel, and growing. The POEA announced it was direct-hiring (government-to-government) around 2,000 OFWs for jobs in Israel a few weeks ago. While smaller than most other OFW markets, I wouldn't say it's that small. I wonder how PR will promote MNL as a hub given that MNL only makes sense as a connecting hub for Australia and certain points in Asia (chiefly Japan, Taiwan, Korea and northern China) without requiring a significant amount of backtracking. I wonder what aircraft they'll use, maybe a tri-class A333? I'm interested to see how this will pan out. PAL's refurbished A330s may still be too much plane for MNL-TLV's nascent market, although they would likely use it with some seats blocked. This is why I continue to be intrigued by the A338neo's projected certification in mid-2019. Short of that, there may still be a few unplaced end-of-line A332's with lessors. BTW, PR's latest A359 was supposed to have its first flight last Friday. Has anyone seen any picture of it with engines installed? As mentioned above...the last of the six (2 ACT) version was already delivered. Although more A321Ns are still expected. LY would probably let PR have the nonstop O/D traffic and not bother to fly their own metal on this price-sensitive and strict security route. Not just OZ. With GMR involved, I can see CRK & CEB being marketed as interesting transit points too on the way to Kiwiland and Oceania. Should PR have success with DEL, BOM would most likely be flown in the future. Then what about PER and MLE? I’m quite surprised with PR’s intention to fly MLE. I wish PR’s success with CTS. I do hope they do extremely well and eventually increase to daily ops. Would the 6 A21N frames be enough if all destinations currently being served are increased to daily frequencies? I don’t think they’ll revert AKL to a one stop service, did they eliminate CNS stop to differentiate their service from other one stop carriers. On another note, QR bought 5% stake in CZ which quite shows the direction where CZ is going in terms of alliance (but not 100% of course). If CZ does join OW, it would be too much for PR (let’s say they would be invited in future), as much as I want them with OW, I think it (PR) is better of with ST.
PAL's refurbished A330s may still be too much plane for MNL-TLV's nascent market, although they would likely use it with some seats blocked. This is why I continue to be intrigued by the A338neo's projected certification in mid-2019. Short of that, there may still be a few unplaced end-of-line A332's with lessors. On the other hand, if PAL decides to keep TLV as a seasonal service, say for the Holy Week, they can probably reactivate one A340. It's the smallest aircraft that can fly the route non-stop. Adding some A332s would also be a good idea, good for routes where capacity is too small for an A21N, but too big for a new-config A333. True, and in return, PAL can funnel some traffic to Europe via TL. Regarding PR's intentions to serve MLE... It's probably catering to Filipino tourist demand, as the Maldives is becoming a "bucket list" destination. Filipinos only require a visa on arrival upon entering the Maldives. On the other hand, they can also take advantage of traffic from the US/Canada flights. Belated happy new year airliners.net! Im soo excited for PAL's ACF A321neo and 2 A350s.. and their new Mabuhay Lounge. I'm extremely excited about pals skytrax placement this year.im wondering how they will place in the ranking.i'm expecting a big jump in the ranking placed between malaysian and china airlines.also, if they'll get the most improved airline award.im also excited if they'll pull out the "6 other options" for A359s. The Points Guy just covered PR's Mabuhay Class on the A350, and they are mightily impressed. While the facilities at MNL remain sub-par (something that can't be solely blamed on the airline, obviously), this should bide well for those looking for more business class options from the U.S. I was extremely surprised by han and phn,but this 2 routes will grow by time.manila has a strategical location for south east asia from north america/north asia.same as a transit point from west/north asia to the pacific islands like palau or polynesia/oceania.they just need to take over this. French polynesia should be served,once paris is open. Just wanted to share this... I’ve been wanting to see this for the longest time and I’m so happy someone posted it on YouTube. PAL, bring back the KISS on the A350! Please? Following this thread for the past year, but it's my first time to post. Something new for the New Year! The news on PAL's strategic investor is up again. This has been in the media for so long but no mention of any investor name. Curious on who is this investor. ANA maybe or QR? The investor can also be the city of dreams casino.maybe from japan.im excited for that! This is new: 5J is introducing a piece system for all its flights! I get operational efficiencies, but I wonder how people will respond to this. English-language publications have yet to pick this news up, but Chinese-language publications in Taiwan have, and based on what I've seen, they've been hyping on about the new opportunities this will bring, particularly for tourist traffic on both sides. Might be better if they'd just focus on building the Central Concourse Extension for now to address the immediate growth needs of CEB. I have been following the progress of MCIA at Skyscrapercity and currently T1 the old terminal is being renovated which will have is said to own distinct design that is different from T2 inspired by the natural surroundings of Cebu. Additionally PAL (GAP included), and ATX are know moving to the south wing while CEB, SRQ and APG will remain at the north wing, (Old domestic area). Diagram of airlines departure assignment are available at page 1307. So pal is aiming to improve technology...which means a better and improved ife content, i guess.more updates on this? Looks like the Love Bus returns on PAL’s 5th A350. Salamat PAL and Airbus! Thank you for bringing back the Love Bus! MWAH! Can't wait to see what will it look liked on the A350-900. Any reason CX not flying to PPS and TAG? Wouldn't it be nice if the Love Bus nose art will also be applied on PR's 6th A359? But I hope they would modify the rest of the retro livery to bring it up to date. Last edited by Devilfish on Thu Jan 17, 2019 5:35 pm, edited 1 time in total. Would like to see 2 359 in that special livery. Yes devilfish,i hope its an updated Lovebus 2019- look. In case anyone was wondering where my username comes from lol. CX indirectly serves TAG through its CEB service. One of the preferred modes of transportation to the island is through the fastcraft from Cebu to Tagbilaran, which only takes two to three hours. It's relatively cheap too. As for PPS, its not as popular as El Nido, Coron or Boracay. However, in recent years, scheduled service to Korea and Taiwan has been added. PPS can handle Cathay's A330s, but I feel that is a market that Cathay Dragon would serve. Something old, something new, something borrowed...you get the idea. OTOH, the PAL A300 livery is very dated, unsuitable, and does not convey the forward-looking thrust of the carrier into the modern age. 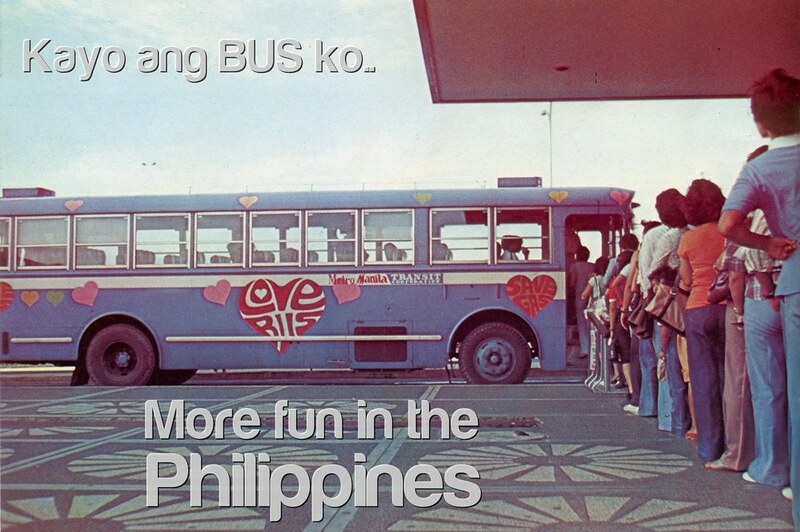 In any case, “Love Bus” and the kiss mark would look sharp on the current livery. When are they introducing the plane? Valentine’s Day? Haha! That would be perfect! Well, after the EDSA revolution, PAL was under new management (PR was still state-owned). The new management began to clean up the mess created under the Marcoses, and part of it was the rebranding which created the current livery. I'm more of a purist when it comes to these, things, so it's all or nothing for me. The upcoming livery is more of a brand refresh. The new management began to clean up the mess created under the Marcoses, and part of it was the rebranding which created the current livery. Recall that LT was closely identified with them, so there is that. MNL increased the number of passengers during 2018 by 7% to pass 45 million! I find this impressive as it has been done mostly without adding flights. Bigger aircraft (A321s replacing A320s) at both PR and 5J, together with higher load factors has enabled this growth of 3 million passengers! 45 million and growing as a tourist hub, is a lot for a congested airport.thats like the volume of mexico city (47million, 2018).its like "too late" for manila:( they needed to build a new airport 10 years ago:( imagine the chaos @ naia in 2020.